Austerity, rebellion, anonymity, power and allurement. These are among the themes presented in the exhibit Power and Pragmatism: Beyond the Little Black Dress in the Robert Hillestad Textile Gallery of the Department of Textiles, Clothing and Design at the University of Nebraska-Lincoln. 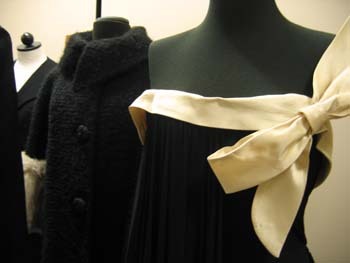 The department will unveil its newly renovated gallery and showcase its historic costume collection in an exhibit of black clothing curated by Dr. Barbara Trout. 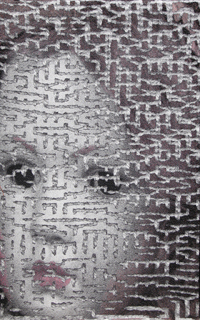 The Robert Hillestad Textiles Gallery at the University of Nebraska-Lincoln will present “Lia Cook: In Touch, Faces and Mazes,” a solo show featuring the work of Lia Cook, March 16 -April 10, 2009. The Robert Hillestad Textiles Gallery at the University of Nebraska-Lincoln is presenting recent works by the gallery’s namesake in Celebration Threads: New Twists by Robert Hillestad, April 21-Sept. 5, 2008. This unique collection of festive garments, accessories, wall pieces and sculptural forms will compel gallery viewers to step into a magical world of invented textile forms. Thirty three striking garments have been are being carefully described and mounted for the Bonnie Cashin Plus Six exhibition scheduled to open on March 11,2007 in the Robert Hillestad Textiles Gallery in the Department of Textiles, Clothing and Design, College of Education and Human Resources. Among the garments featured are a “ tin Lizzie coat”, ponchos, capes, a sculpted 1950’s suit featuring the New Look, a choir boy jacket, and luxurious chiffon cocktail dresses all designed by American designers who developed a reputation for their independence and vision in the post war era. Jennifer Angus, from the University of Wisconsin, Madison, will travel to Lincoln, NE the 3rd week of November to install her newest installation called Carpet Beetles: Patterns from the Orient. Departing from her work of the past four years, in which she has been creating installations composed of insects pinned directly to a wall in repeating patterns, Angus will create an installation at the Robert Hillestad Textiles Gallery, Nov. 19-Dec. 17, 2004, on large, low, floor pedestals. 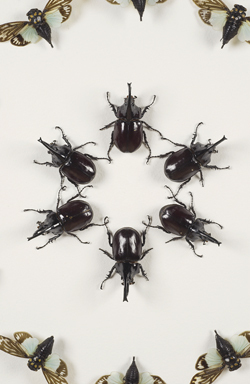 Angus uses real insects to reference pattern, both from textiles and wallpaper. 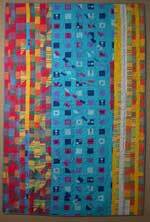 Between September 15 and 19, 2004, Oakland, CA-based quilt artist Ellen Oppenheimer will visit the University of Nebraska – Lincoln campus in conjunction with the exhibition “Complex Pattern: The Quilts of Ellen Oppenheimer” in the Robert Hillestad Textiles Gallery (September 13 – October 8). The exhibition and the artist’s presentations, made possible in part by the Dept. 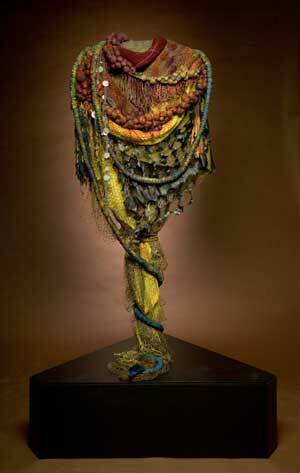 John Garrett of Albuquerque, New Mexico interlaces such unlikely materials as brushed and painted aluminum and hardware cloth in a vessel and makes nets of metal, plastic, and glass. Process is central to this work where the artist explores new and complex weaving processes and experiments with the aging and decomposition of found metals. 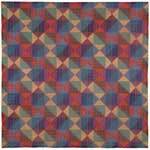 The Robert Hillestad Textiles Gallery will feature Garrett’s work in a solo exhibition September 8-October 17, 2003. Radka Donnell’s quilts break many of the rules that have governed how quilts were designed and made for much of the last two hundred years and longer. They pay little heed to grids or to symmetry. Their colors are riotously and impulsively juxtaposed. They eschew fine stitching in favor of the functional and the no-nonsense. They avoid the familiar small-scale, genteel prints normally associated with quilts in favor of large-scale, graphically assertive patterns. The bold surfaces of these fabrics compete with and against one another, in frenetic dances of exaggerated visual energy. University of Nebraska Textiles, Clothing and Design Department will be enriched with the opening of Tim Harding's textile exhibition Fragmented Surface: Color, Light and Texture in the Robert Hillestad Gallery opening on March 8, 2002 at 7:00 p.m. Harding is a highly recognized fiber artist known for using bits of colored fabric as an impressionist painter uses brush strokes. When Harding takes a blade to his fabrics the outcome is dazzling color intermixed with what seem to be shadows and particles of light.